As a small child I thought that reading seemed very much like magic. My mother or father could take a book from the shelf, and those arcane markings on the page would use her or his voice to tell a story. For a given book it would always be the same story, whoever was doing the reading. I soon learned that books contained marvelous things. I could hardly wait to learn to do the magic for myself. I have never lost that sense of wonder when opening a book. With a book in my hands I hold other people’s thoughts—the ideas of individuals, perhaps long dead, who worked the magic to transmit the contents of their minds into my own. Thanks to the magic of reading, I can peer directly into the inner world of Plato, Boethius, Mallory, or Lewis. Their books give me the power to think what they thought and even to feel what they felt. In the past, God spoke to the fathers at sundry times and in diverse manners. He sometimes sent dreams and visions. He sometimes spoke audibly. He sometimes gave prophetic revelations. On two occasions, He even inscribed His law on stone tablets. In those days, people had to rely upon their experience of direct revelation. Where that was lacking, they had to rely upon the memory of what God had revealed. Occasionally, as in the tabernacle, the temple, the priesthood, and the sacrificial system, they relied upon images and symbols. Over time, however, the Spirit moved men of God so that they wrote down a permanent record of what God had said and done. This permanent record, collected and preserved, became God’s enduring, special revelation to humanity. Completed by the apostles, this record now exists as the Bible, the Holy Scriptures, the sixty-six books of the Old and New Testament. All of this collection is God-breathed. It is profitable to tell us what to believe, to show us where we are wrong, to correct us so that we might be right, and to give us the child-training that we need so as to live in righteousness. By reading this book, we encounter directly the mind and heart of the Living God. He meets us in its pages and speaks to us in His own voice. It is His Word. Because this book—this Bible—alone speaks to us with God’s voice, its authority is final in every area to which it speaks. It is also our sole authority in all matters of faith and practice. The only way that we know what to believe about God and His works is through the Bible. The only way that we know what God requires of us is through the Bible. The authority of Christianity does not consist in the direct personal experience of revelation, in the memory of revelations past, or in images and symbols. Christianity is primarily a religion of text. Revelation is mediated to us through the written Word of God. Our experience of God must always be regulated and interpreted by the Scriptures. We must approach God only in those ways prescribed by the Bible. We must implement only those rites, rituals, and symbols that are authorized by God’s Word. Christianity is a religion of text. Consequently, Christianity requires skill in the manipulation of textual communication. Healthy Christianity demands good readers, good students of written documents. Granted, the illiterate can be saved and enter the rudiments of the life of faith. Such persons can listen to the Scriptures being read by others. They can hear others explain what the Scriptures mean. Such second-hand knowledge, however, is always a poor substitute for knowing the mind of God directly, and one knows His mind directly only as one reads and understands the Bible for one’s self. Christianity has a vested interest in producing skillful readers. For reading is a skill. Some readers are better equipped with this skill than others. One person struggles to read a newspaper, while another tackles the intricate arguments of the philosophers. Different levels of reading require varying levels of skill. What level of skill is necessary to understand Scripture? The answer to that question depends upon at least two factors. The first is the sort of biblical literature that is being read. The second is the level of understanding that is desired. The Bible is not all written the same way. Its pages include narrative, legislation, lyric poetry, epic, apocalyptic, and discursive writing. Grasping the flow of a story usually requires less skill than tracing the intricacies of a discursive argument. Even so, appearances can be deceiving. The narratives of the Bible are never simply stories. 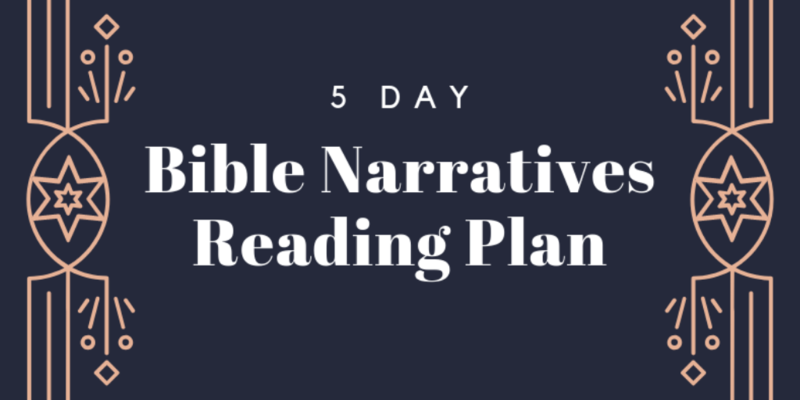 They are selective constructs that are designed to teach overarching theological lessons. One might be able to follow the line of the story, yet miss the whole point for which the story is being told. We can understand the shallow meaning of the text, or we can grasp its full implications. So again, what level of skill is necessary to understand Scripture? The short answer is that reading Romans is very much like reading Plato’s Republic or Aristotle’s Rhetoric. The level of skill that is required for one is the same level of skill that is required for the other. To grasp the overall meaning of the Bible, you have to be a pretty good reader. What must good readers be able to do? First, they must have enough grammatical skill to be able to distinguish the parts of speech within a sentence and to decode those parts so that the message of the sentence registers in their mind. In addition to grammar, they must be able to understand how the sentences in a paragraph are connected to each other, how the paragraphs in a section or chapter are related, and how the chapters in a book compose a whole. Third, they must be able to follow a line of argument, whether deductive or inductive. In other words, good readers must be skilled in grammar, rhetoric, and logic. We only master these skills in practice—enough practice to constitute a life of study. In other words, study is part of a believer’s calling. Without study we cannot hope to understand the Word of God for ourselves. We will miss the enormous privilege of glimpsing God’s mind and heart in His Word. Since most people do not have jobs that allow them to study, this activity must be built into their leisure. To make disciples, churches need to find ways to encourage Christians to use leisure for study. Their ministries ought to equip non-readers to become readers. They also ought to provide ways to help unskilled readers become skilled ones. By itself, skilled reading is not a guarantee of biblical understanding or spiritual maturity. James talks about readers who see themselves in the mirror of God’s law but then ignore what they see. Nevertheless, skilled reading is an indispensable skill, and the practice of study is the indispensable way of acquiring it.